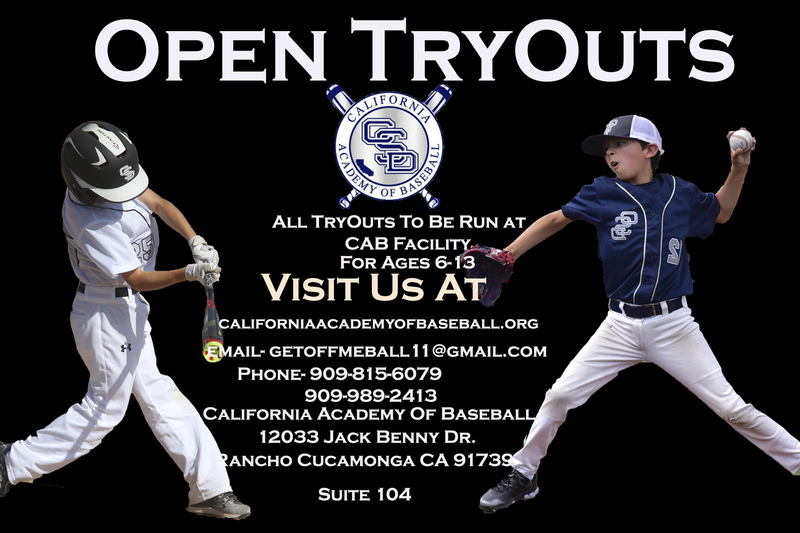 The Califronia Sand Dawgs Baseball Academy was founded in 2012. The academy originated in Rancho Cucamonga, California with only ten players in a 12u developmental level. Since the start of the program the academy has went from ten players to over eighty players. 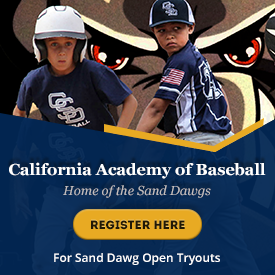 The Sand Dawgs Baseball Academy consist of 10u, 11u, 12u, 13u, and high school level teams and development. The Cal Sand Dawgs have been built on a reputation to show great class in what we do. We currently run our academy out of Rancho Cucamonga, California, and we work daily with our athletes on skills to improve their game. The young men in our program have designated weekly hitting labs and field practices through out the month to help out with their developmental progress. We also have nights where are baseball athletes can participate in speed and power training twice a week. Our teams are also committed to playing in at least 24 tournaments a year. The development of each of our players is important to us, so we also commit ourselves to help everyone of our athletes. No player is ever turned away from our academy, but they will be placed in a program that will best fit their growth and development. The most important part to are success and everything we do is Jesus Christ. We have made it a statement to put God first in all we do. Without God involved we would not have the opportunity to do what we are doing today, so to Him we give all the glory. A team that prays together plays together. This is the foundation that we have built for the California Sand Dawgs Baseball Academy on and how we want to be represented. In 2011, the California Sand Dawgs were founded with the mission to provide baseball knowledge and life learned lessons to each of our athletes. We are committed on establishing young men who know how to carry themselves on the field as well as off the field. As an organization we know that all our athletes will not play at the professional ranking, so we want our athletes to focus their attention on academics first and baseball second. Our organization is focused on providing top of the line baseball instruction, and making sure that everyone of our athletes leaves our organization with knowledge that they cannot find anywhere else. Even though we are very focused on grooming baseball players; we are also focused on grooming young men into men. We want each of our athletes to feel like they are part of our family, and they can come to us at any time no matter what the situation is. Our number one objective is to make sure that each of our athletes leave’s our program as a great ball player and a great person. Charlie Briseno began coaching in 1992. His coaching experience has spanned many levels. With experience at many levels, Charlie Briseno is able to bring many different techniques and perspective to each of his individual teams. Charlie’s passion and caring definitely cross over to his coaching style. Many of his past players have gone on to play at Div 1 college’s as well as MLB. USSSA State Champions 12u 2010. Charlie Briseno currently has 8 MLB, 22 Division 1, 8 Division 2, 4 NAIA and 15 Junior College players that have come through his program.